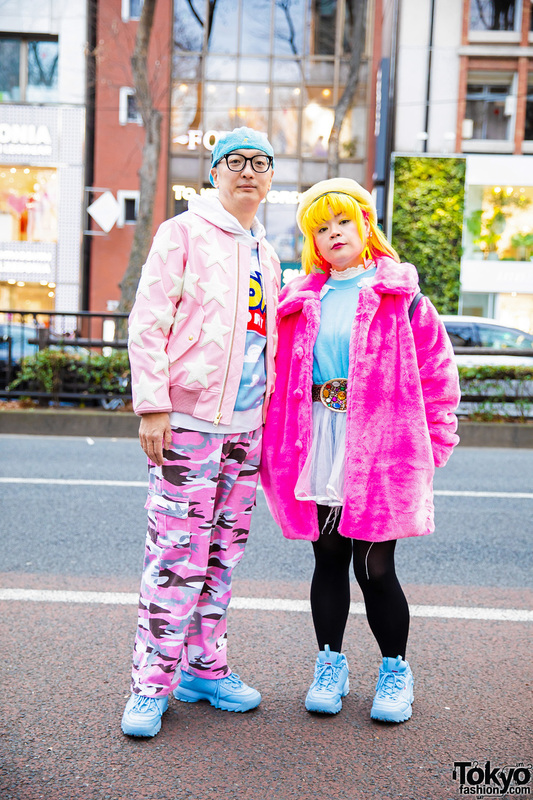 Harajuku teen girls in edgy streetwear styles including items from the popular Tokyo boutique Never Mind The XU. Hyojin of streetwear brand Open the Door and 26-year-old student showcase stylish monochromatic fashion in Harajuku. Yuri Nakagawa on the street in Harajuku wearing red lace with black star pants, glasses, and a Moschino backpack. Blonde Harajuku girl wearing all black fashion with a lace jacket, faux leather mini dress, fishnets, backpack, and platform lace up boots. Harajuku girl in sporty street style with tank top over mesh top, track pants, cheetah print socks, platform creepers, leather backpack, and accessories. 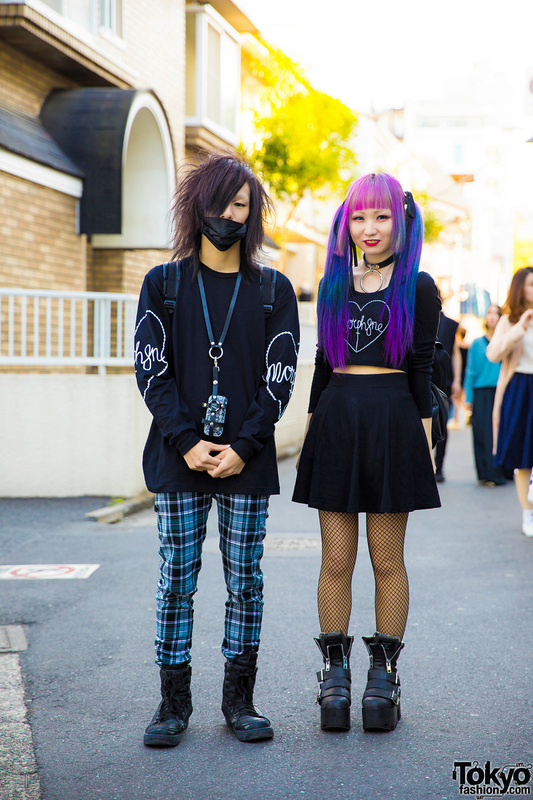 Harajuku duo in dark streetwear with sweatshirt, plaid pants, high tops, cropped top, pleated skirt, fishnet stockings, platform boots, backpacks and silver accessories. Harajuku duo in chic sweater fashion styles featuring printed skirt, jeans, platform creepers, leather backpack, canvas tote and running shoes.